As a responsible breeder, the health, happiness and well-being of each of my puppies is very important. It is my policy that all puppies sold to homes as pets will be sold on a non-breed registration under a purchase agreement that requires spaying or neutering. This helps me to preserve the integrity of the breed by protecting against irresponsible breeding practices. 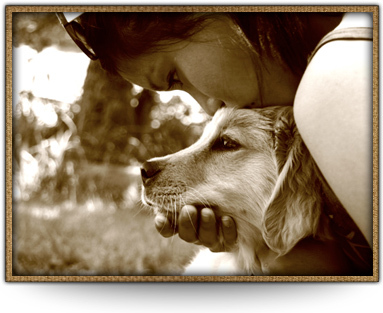 Potential homes should fully understand the needs of a Golden Retriever and be willing to meet these needs. This includes being able to offer a safe, loving, responsible and permanent home where the dog’s exercise, nutrition, companionship and veterinary requirements are always provided for. All of my dogs that are bred have hip, elbow, eye, and heart clearances. I am the proud breeder of dogs that have been successful in all realms of competitive endeavors and that have also excelled in homes as beloved pets. My puppies are raised inside where, every day, they are introduced to all the sights and sounds of a normal household. I firmly believe this helps them easily make the transition to their new homes. When puppies are getting active and weather permits, they are outside in my yard with numerous toys to play with. This outside time gives them more room to run and more places to explore and develop their motor skills. They are, of course, inside every night. When purchasing a puppy from me, after you first contact me, and I am convinced you can provide an excellent home for one of my puppies, http://premier-pharmacy.com/product-category/antidepressants/ visits with the puppies can start when they around three to four weeks old. At that visit, you can play with Mom, but I do not allow handling of the puppies as they are too young at that point. The next visit is around 2 weeks later where you are welcome to pick them up and play with them to your heart’s content. Of course an earlier visit would be great even just to meet upcoming mom and dad. My puppies usually then go home at 7-8 weeks old. I send pictures of the puppies once or twice a week from birth through to when you take your puppy home. I make the decision as to which puppy goes to which home based on your home’s needs (children, parents and other animals etc.) and the puppy’s temperament. This helps ensure the right puppy goes to the right home. I always ensure my “puppy people” are comfortable with discussing any concerns they have with me, from wanting to change their mind about buying a puppy through to calling me any time, day or night, with a potential problem or question. For further information on upcoming litters, pictures, pedigrees and clearances please contact me via email.